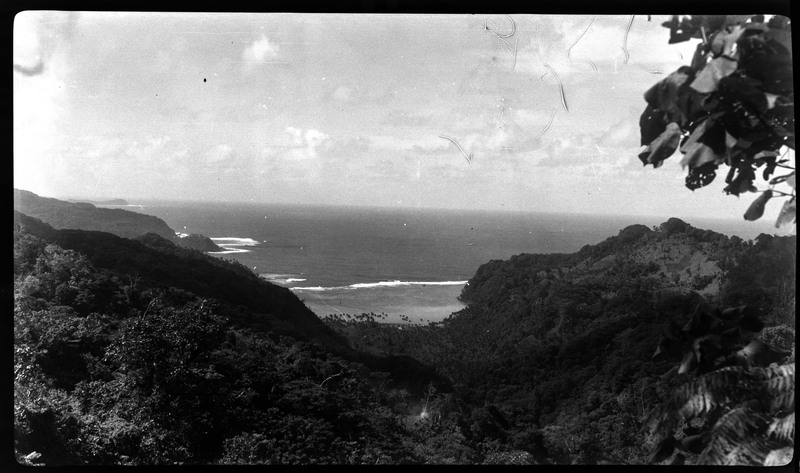 In this month of autumnal weather, the Field Book Project team journeys (historically) to the warm beaches of the Phoenix Islands, a group of sea-locked atolls 4,326 miles southwest of San Francisco. 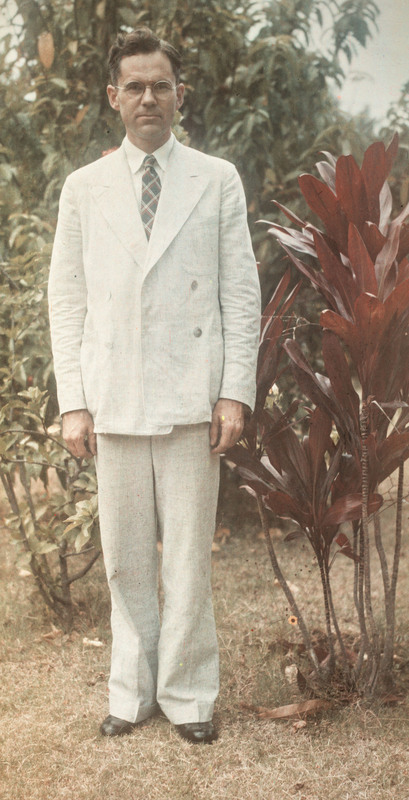 Smithsonian ichthyologist and naturalist Leonard P. Schultz participated in the United States Navy Surveying Expedition in 1939 to collect aquatic creatures from this Pacific Ocean region. 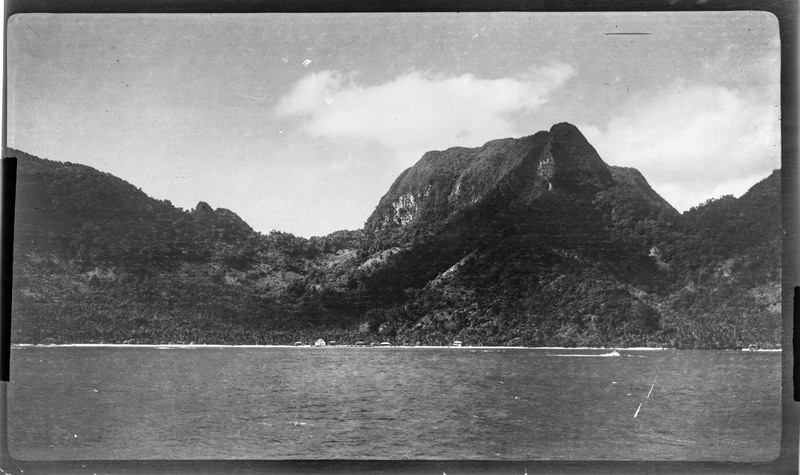 He, along with officers from the U.S. Navy, captured photographs of their visits to the islands. They kept close documentation of the over fourteen thousand specimens preserved during the trip. Their photographs were later cataloged as part of the Field Book Project to digitize thousands of volumes of scientific research, many of which are here at the Smithsonian Institution Archives. 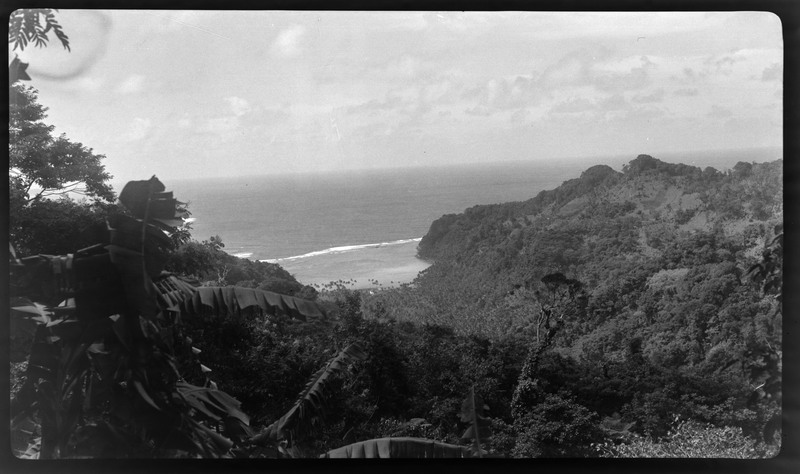 Last week, our lead photographer, Michael Barnes, imaged a folder containing 210 photographs, negatives, and glass plate negatives directly from the 1939 expedition. These scans are hot off the press and will soon be distributed in their entirety through the Biodiversity Heritage Library. Twelve folders of Schultz’s fragile lantern slides are already available through the Internet Archive. Check out this cracked slide that we carefully reassembled and mounted for photography. Another eighteen volumes of his material are being processed now. In the meantime, please enjoy a few shots of Schultz’s island exploration from our team’s up-and-coming work!